For Spring '19, Marco De Vincenzo is drawn to rainbows and shimmer. 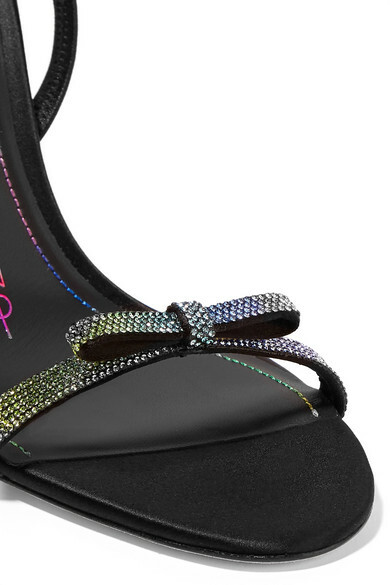 These bow-topped sandals have been handmade in Italy from satin and covered with colorful twinkling crystals. The slingback strap is made from smooth patent-leather and is elasticated to ensure it doesn't slip down as you walk.